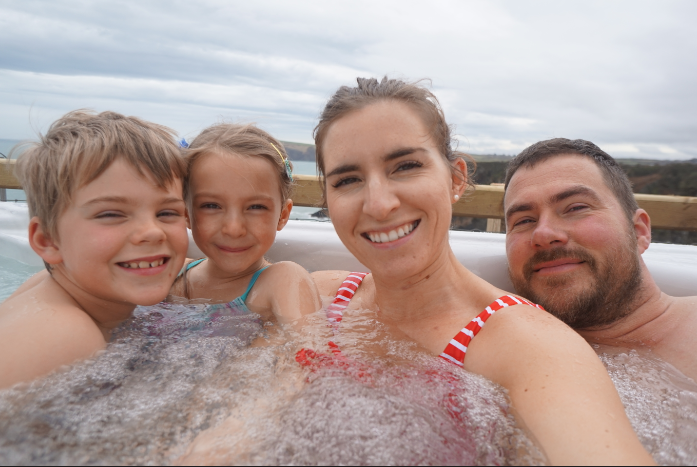 We've recently booked out Easter holiday and i can't stop dreaming about the spring weather and Easter vibes of having two weeks off with no school run and family time! We've only literally just gone back to normal routine since the Feb half term but i am desperate for some warmer weather thats for sure. I was scrolling through old photos and came across last years Easter pictures, home decor , Easter baskets and the amazing Cream Egg cheese cake i made! I actually have a huge box of Easter themed home ware, crafts and general themed items in the loft.. I'm itching to get them out which seems crazy.. however there are already easter eggs in the shops! Though to be honest i never buy Easter eggs not for anyone! Which sounds a little tight however, the kids always get loads from our huge family and i usually host a Easter Hunt/ Party every year so i put on a spread of Eastery themed food and i make up some yummy treats bags for the children. Easter eggs are so overrated ... its much more than an egg for sure.. We make it an annual family get together which i love! I make up some Easter bags for the children every year, i pop in a little treat and some fun things to do over the half term week, nothing expensive just something little to get them excited for the holiday ahead! I love this picture ove Violet feeding our orphan lamb Rosie! You should see the size of her now ha! Lastly this delicious No Bake Cream Egg Cheese Cake! I will be making this year, its so easy anyone can do it! Check out my simple recipe- No Bake Cream Egg Cheese Cake.